My love of anything-potato should be clear by now. This particular preparation, however, may be the absolute best. 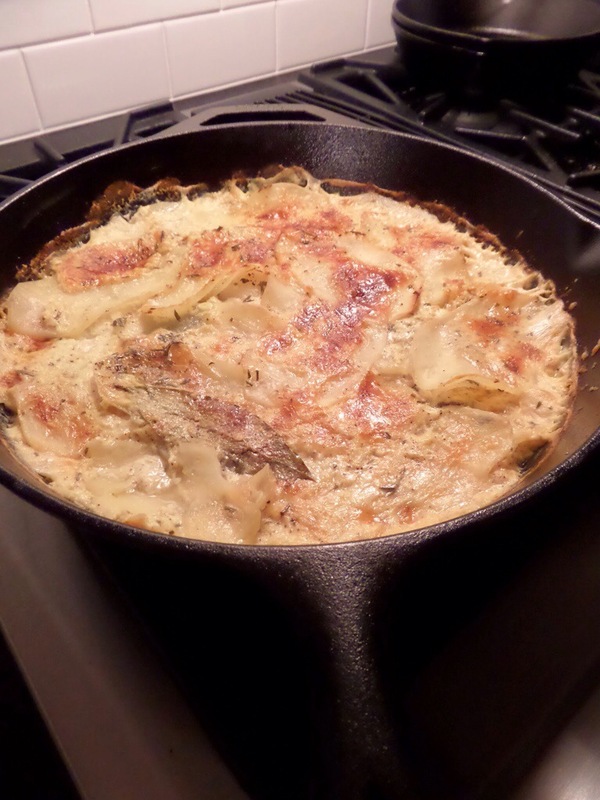 At first glance, this may look like just another au gratin dish but there are some key differences (we’ll get to that later). I distinctly remember the first time I had potato dauphinoise. I had been sent to Ireland for a few weeks for work (tough assignment but trust me, I’d earned it after some of the other not-so-desirable places they’d sent me). I had also just quit my job so this was my last stint. My coworker and I had the opportunity to travel to many cool places, during our visit. Dublin, Galway, Limmerick, Doolin, and then Cork. While in Cork, we stayed at this beautiful little hotel (Hotel Isaac) that had a fabulous restaurant. And there, in that fabulous restaurant is where I found my dauphinoise….. The difficult part of making this dish is getting the potatoes cooked thoroughly. Too much liquid and it’s mush. Too little liquid and you could keep it in an oven for days and the potatoes will never soften. So let’s start with the potatoes. 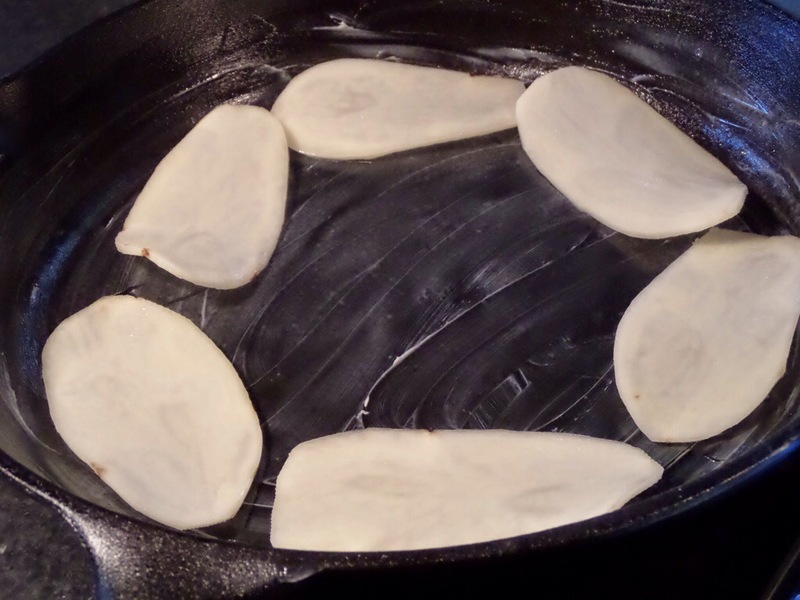 I used my mandolin to slice the potatoes to 1/8 inch thickness. As you’re slicing, be sure to put the potatoes in water. This prevents the slices from browning. I also like that it will remove some of the starch. 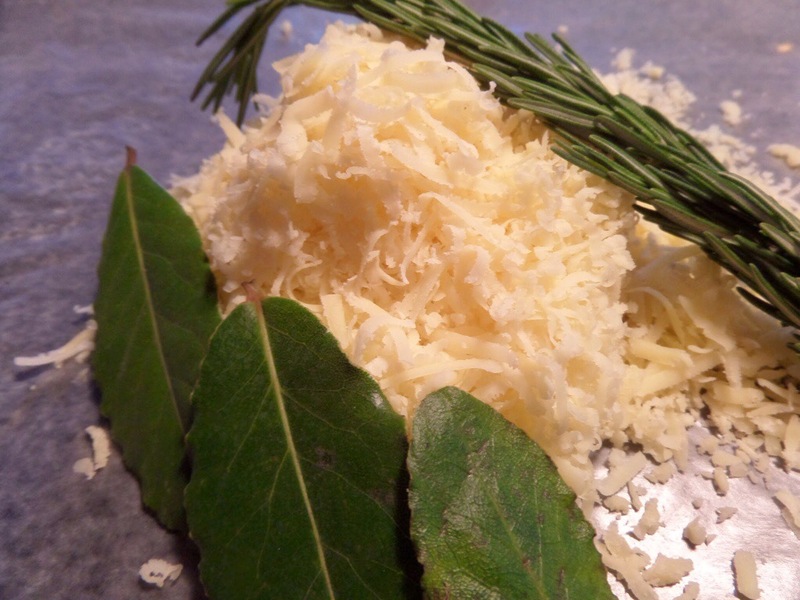 Next up is the cheese, rosemary and bay leaves. Gruyere is the classic cheese of choice but I suppose any kind will do. 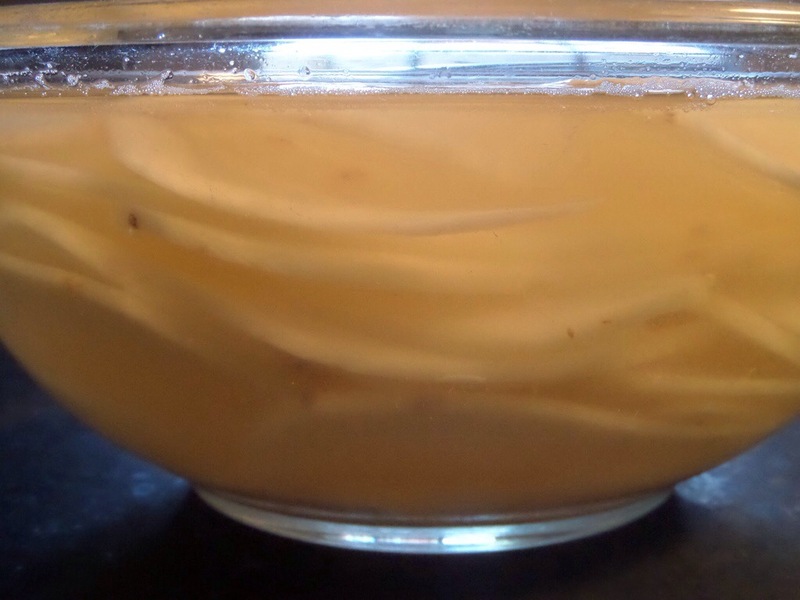 Finally, the liquid that these lovely potato slices will swim in. 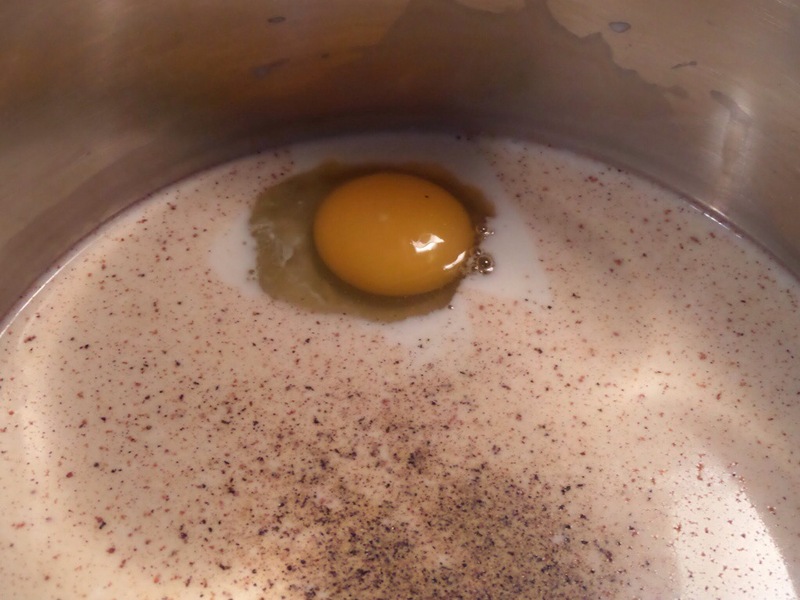 It’s simply milk, nutmeg, salt, pepper and an egg. You want to mix that all together and then slowly heat the mixture until the milk is scalded. Do not let it boil and be sure to whisk constantly. As the temperature of the milk rises, it will begin to thicken. Ok, so here’s where I deviated, slightly. Besides my love for all things potatoes, I have an insane addiction to all things kitchen. Yesterday’s purchase was a set of cast iron skillets. This dish is supposed to be made in a casserole dish so that it can sit in a bain-Marie (water bath) while cooking. 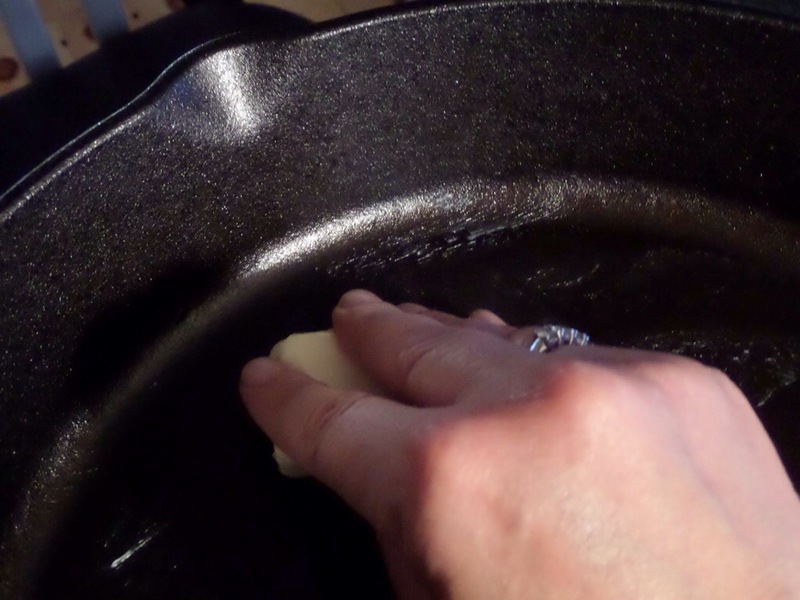 This allows the cheese to melt slowly, without separating. Well, I was willing to take that risk because I’d just spent the last two hours with my hands covered in lard, seasoning the skillets. These babies were going to be put to work! 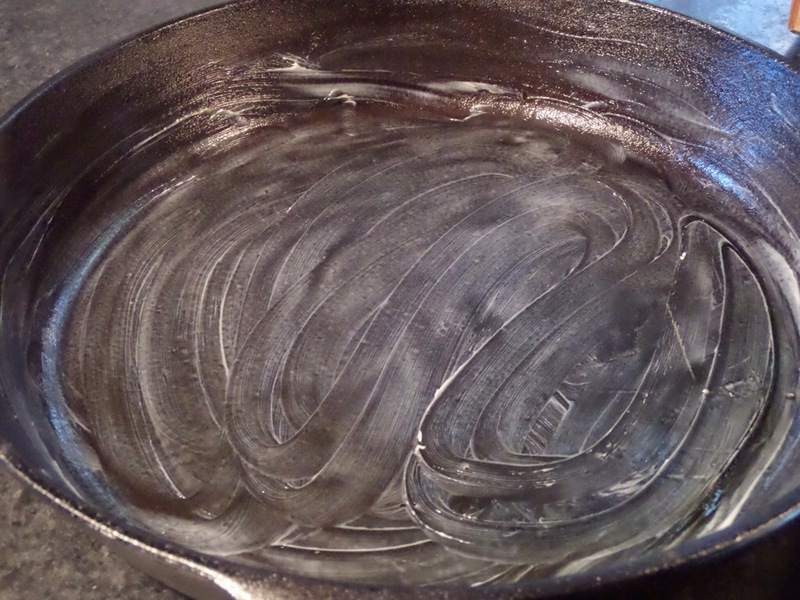 I greased the inside of a 10″ skillet with butter. 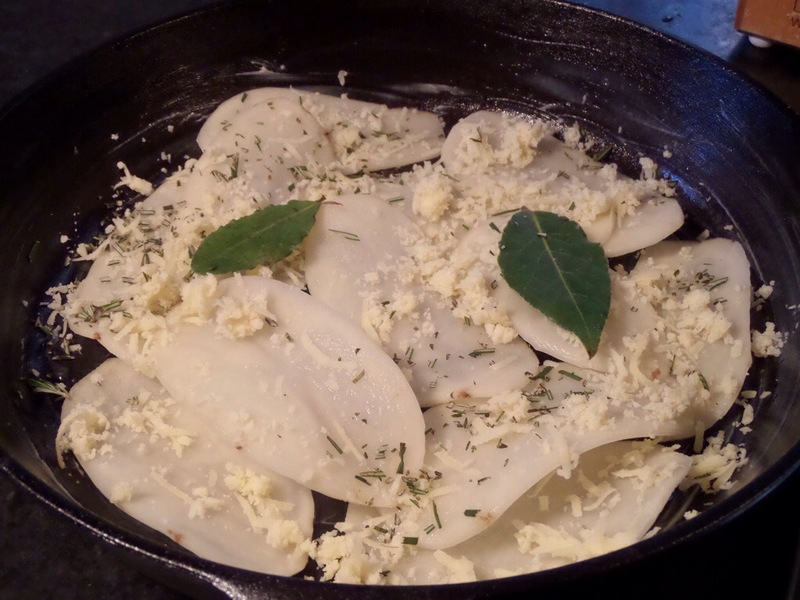 I then layered the potatoes, adding the cheese, a bay leaf or two and chopped rosemary before adding the second layer. 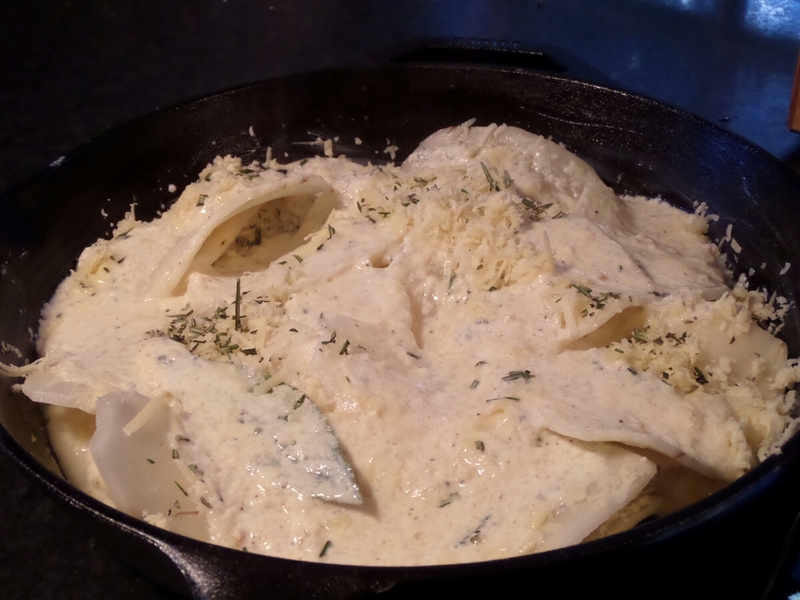 Once the layering was complete, I topped with the remaining cheese, rosemary and bay leaves. Next, pour the milk mixture over the potatoes. You want to be sure there is enough liquid to just cover the potatoes. Because I was using a skillet, I had to add just a bit more warm milk, to be sure it would cook properly. With my oven preheated to 325 degrees, the dish was ready to hit the oven. I cooked it uncovered for the first 30-35 minutes and just as it was starting to brown, I loosely covered it with a piece of foil. It cooked for another 30 minutes or so. Once I could easily pierce a potato with a fork, it was ready. 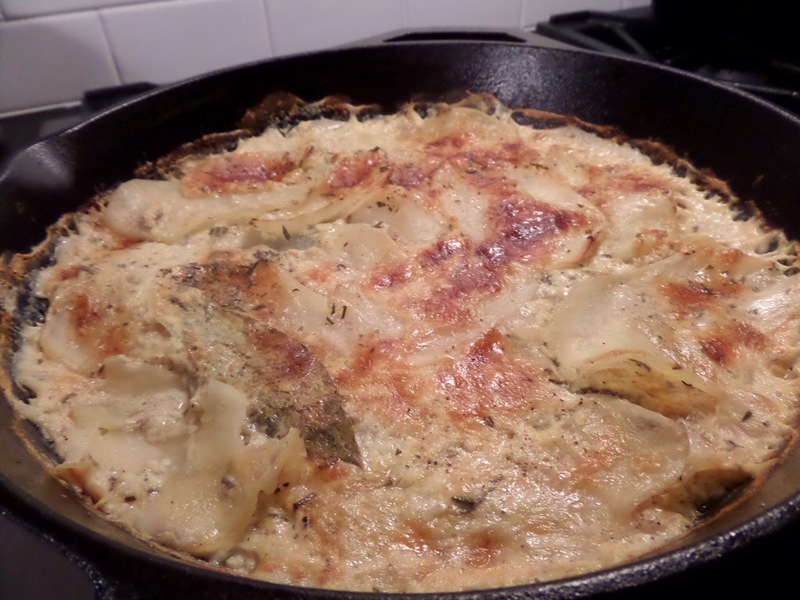 So I’ll leave you with the explanation of the difference between au gratin and dauphinoise. Au gratin contains milk and cream. It also is usually made with bread crumbs and a mix of Gruyere and Parmesan, whereas dauphinoise is simply made with milk and gruyere. Au gratin doesn’t usually call for a water bath. Perhaps that’s because you start with cold milk yet you heat the cream. Either way, there’s my fun fact for the day. This looks amazing! I loved that trip– definitely one of the best of my CIEE stint! I remember that little hotel in Cork as well, but I don’t remember these amazing potatoes (which is why you’re the food blogger and not me! haha). I am going to make these asap. They look delicious! Hope you’re doing great, Amy!